Bats can be a frightening sight for SC residents, especially if they fly anywhere near you. However, these mammals can be beneficial to have around, since they eat certain pests that ruin crops and damage trees. While bats provide natural pest control outdoors, you don’t want them to take up residence in your home. Learn more about the different bat species found in our state, and find out when it’s time for South Carolina bat removal services. What do bats in SC tend to eat? The majority of these bats have a diet that mainly consists of insects. Some also eat fruits, nectar from flowers and other animals, such as smaller mammals, frogs and birds. Having a diet filled with insects means that bats do an important job of keeping mosquito populations and the populations of other insect pests at bay. By doing this, they help keep the need for chemical pesticides down throughout SC, which is healthier for humans, pets and wildlife. Eating insect pests also means that bats help protect crops from being destroyed and trees from being damaged or harmed. Bats do a lot of good for the environment in SC, but they can be a problem for homeowners. These mammals can end up getting into homes and building their nests in attics, walls and other areas. Once they’re inside, they can be difficult to get rid of. Since bats can carry rabies and other diseases, having them inside your home could put your health at risk. Bats also cover surfaces with their droppings, known as guano, which can cause a strong, foul odor in your home and potentially increase the risk of health issues. Having bats flying around your yard at night usually isn’t a problem, as long as they’re staying outdoors and nesting outside. They tend to avoid humans and spend their time searching for food to eat during the evening and at night. If you’re worried about having them on your property, our South Carolina bat removal services can get them away from your yard in a humane manner. 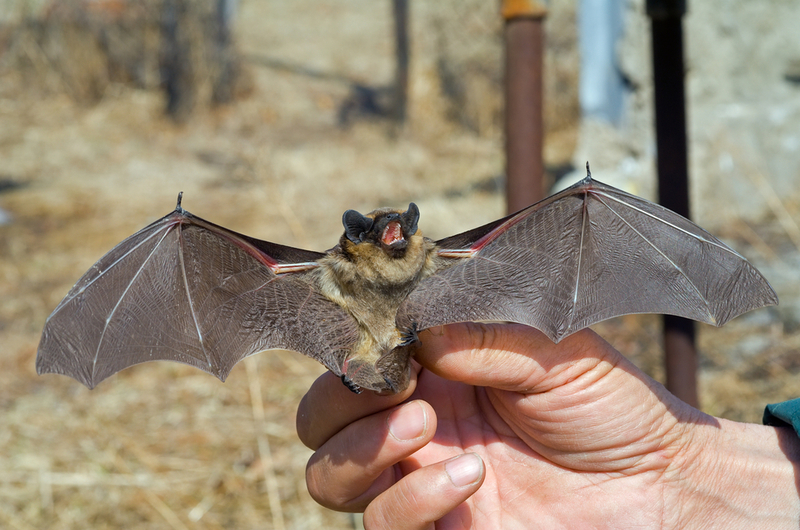 Should you attempt to remove bats from your property on your own? This isn’t recommended, since these mammals can become frightened and possibly bite or scratch if they feel threatened. Letting professional bat control experts handle this instead helps prevent you from being injured while also ensuring that these animals are safely removed from your home. There isn’t much you can do to stop bats from looking around your yard for insects to feed on. However, you should take steps to stop them from being able to get inside your home and set up residence there. Since bats can reach high spaces, you should have your roof inspected for signs of openings that these animals can get through. If you have any gaps or openings, these should be sealed up as soon as possible before bats have a chance to get inside your home. If you already have them in your home, South Carolina bat removal professionals can get them out before you seal up openings. Otherwise, you could end up trapping them inside your attic or walls. If you have any bats hanging around in your attic or anywhere else in your home, it’s important to get help from Island Pest Control. Contact us for more information on our South Carolina bat removal services in the Hilton Head area.